Drug or alcohol use and anxiety are strongly associated with alcohol abuse and there are a variety of reasons for this link. Substance use can both cause anxiety and also be a form of self-medication. Diagnosis is complicated but treatment is available. Anxiety is an emotion which we experience as a sense of unease before an important occasion or when experiencing something uncertain, with unexpected outcomes such as an interview or a test. We can, therefore, see it as the body’s response to stressful, threatening or uncertain situations which, can help us to be prepared for unpredictable scenarios by remaining alert and aware. However, those with an anxiety disorder experience anxiety in disproportionately high levels, which can feel overwhelming and be debilitating to the extent that someone struggles to lead a normal life. Anxiety disorders affect your ability to sleep, concentrate and be with other people owing to a perpetual feeling of irrational worry and disproportionate fear. It is not unusual for people who have anxiety to “self-medicate”; that is, to use alcohol or drugs as a way to cope with these symptoms. However, unfortunately, alcohol or drugs can enhance anxiety symptoms so the person can become trapped in a “vicious circle”. 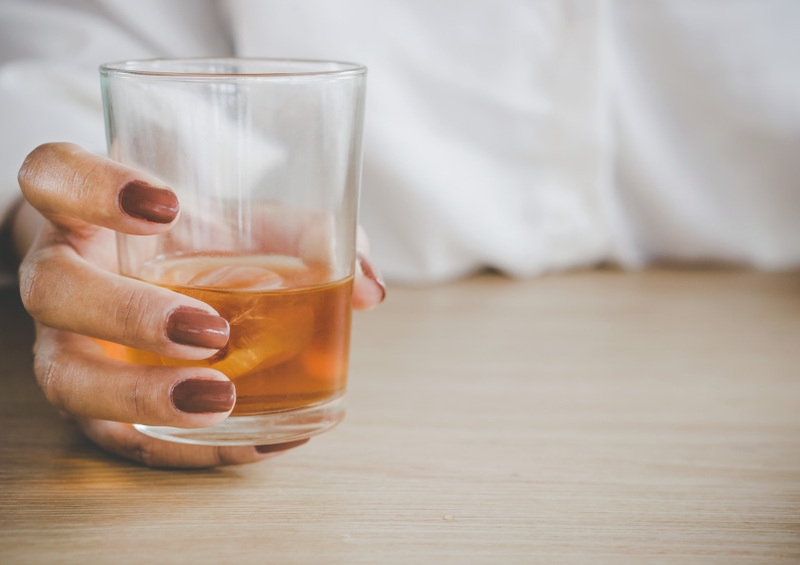 The longer they use alcohol or drugs, the more established the physical and psychological symptoms of anxiety become, which leads to an increase in their substance intake to respond to the symptoms. This ultimately may lead to a physical dependence on a substance which then becomes a condition in itself. This is all compounded by the fact that substance use in itself (alcohol, drugs or prescription medication) can also lead to cause neurobiochemical changes that may trigger or intensify anxiety. “Co-occurring disorders” is one term used to refer to the co-existence more than one disorder and in this case, of anxiety and/or substance-related disorder. Other terms used for co-existing disorders include dual diagnosis and/or co-morbidity. Anxiety and substance use disorders are among the most common mental health conditions. It is thought that about 20 percent of Americans with an anxiety disorder may have an alcohol or other substance use condition, and the same percentage with a substance use disorder (including alcohol) may also have an anxiety disorder. It is considered that those with anxiety may be twice as likely as the general population to engage in problematic substance use. They are two to three times more likely than the general population to have a substance abuse disorder at some point in their lives. Co-existing psychiatric disorders may also increase the risk of becoming involved in more serious illicit drug use disorders. The co-occurrence of anxiety disorders and substance use disorders is also problematic as it is associated with more severe symptoms and functional impairment and poorer illness trajectory than for either disorder alone. Anxiety disorders have also been associated with higher lifetime rates of alcohol abuse specifically and greater rates of relapse following rehabilitation programs. Patients with alcohol-use disorders first and foremost are found to have a high prevalence of anxiety disorders. Women have been found to suffer from higher levels of stress and anxiety disorders than men, and they also appear to be more vulnerable to maintaining alcohol consumption levels; in women, existing anxiety disorders have been shown to be strongly predictive of alcohol dependence later on. Post-traumatic stress disorder and substance use seem to co-occur frequently and this combination is believed to increase poor health outcomes as well as mortality. Social anxiety disorder and substance use is also very common. People often “self-medicate” to reduce their social anxiety however withdrawal especially can be counter-productive by increasing anxiety levels. Panic disorder. Alcohol or substances can often lead to panic attacks, and having a panic disorder is a key risk factor for relapse in someone with a substance abuse condition. Alcohol misuse is thought to most commonly begin before or at the same time as panic disorder symptoms emerge. There are various theoretical models defining the relationship between anxiety disorders and substance abuse disorders. Some models give the anxiety disorder priority and those generally propose that it is the effort of coping with situations that provoke anxiety, which in turn leads to the use of substances. These models include the tension reduction hypothesis (drinking or using drugs to relax) and the self-medication hypothesis (substance use to suppress emotions or experiences that lead to anxiety). Substance misuse or withdrawal symptoms: Substance use often results in physical and psychological effects that resemble anxiety (nervousness, agitation, insomnia, fear). Likewise, anxiety, restlessness, and sleep disturbances are common symptoms of alcohol or substance withdrawal. Biochemical factors: A chemical imbalance hypothesis has been proposed for both anxiety disorders and substance use disorders. For example, reduced serotonin levels have been associated with both alcoholism and anxiety and depression. Genetic predisposition: There is some evidence that those who have a tendency to be anxious may also be more like to develop an addiction if there is a family history of both conditions. It is unclear whether the etiology of this is environmental or hereditary factors. The diagnosis of co-morbid anxiety and substance use disorder can be challenging owing to the possibility of multiple causes. Symptoms of anxiety may be caused both by abstaining or being intoxicated; and it is also the case that one disorder may be (directly or otherwise) induced by the other. This can make identification extremely challenging and may mean that either disorder may go unrecognized. Awareness has grown over the last twenty years and specialist services are now emerging but typically treatment has been problematic for those with dual diagnosis as services are generally separate. Therefore, mental health services would often refuse to treat those using substances; and substance use services would often refuse to treat those with mental health problems. Treatment is especially important as comorbid anxiety disorders and substance use issues are associated with poorer treatment results overall and the use of standard psychosocial interventions can be extremely problematic. As both conditions often reinforce each other, treatments that aim to target both conditions simultaneously may be the most effective. Certainly, research indicates that in patients with mild and moderate anxiety disorders (with comorbid substance use issues), the treatment of the anxiety disorder needs to be addressed as early as possible. Whilst treatment is primarily psychotherapy-based, there may also be a place for the use of pharmacotherapy. In terms of drug therapies, unlike other mental health conditions, research indicates that SSRIs (specific serotonin reuptake inhibitors) is not so effective in dual diagnosis. However, research is emerging as to the use of anti-convulsants with the caveat that they are open to abuse so monitoring is key. In alcohol treatment, benzodiazepines have long been used for the treatment of the symptoms and signs of alcohol withdrawal syndrome and the prevention of seizures. However, awareness of the epidemic of benzodiazepine addiction following former overprescribing for anxiety disorders now renders this problematic. Where there is an underlying anxiety disorder, this may therefore be inadvisable in those with existing dependency or in terms of increasing the risk of future abuse. Grant BF, Stinson FS, Dawson DA, Chou SP, Dufour MC, Compton W, Pickering RP, Kaplan K., Prevalence and co-occurrence of substance use disorders and independent mood and anxiety disorders: results from the National Epidemiologic Survey on Alcohol and Related Conditions. Arch Gen Psychiatry. 2004 Aug, 61(8):807-16. Kessler RC, Angermeyer M, Anthony JC, DE Graaf R, Demyttenaere K, Gasquet I, DE Girolamo G, Gluzman S, Gureje O, Haro JM, Kawakami N, Karam A, Levinson D, Medina Mora ME, Oakley Browne MA, Posada-Villa J, Stein DJ, Adley Tsang CH, Aguilar-Gaxiola S, Alonso J, Lee S, Heeringa S, Pennell BE, Berglund P, Gruber MJ, Petukhova M, Chatterji S, Ustün TB.,Lifetime prevalence and age-of-onset distributions of mental disorders in the World Health Organization's World Mental Health Survey Initiative. World Psychiatry. 2007 Oct, 6(3):168-76.